Human Resources | Group ADADE S.A. The purpose of Human Resources is to ensure that the company has an effective internal organization capable of generating added value by itself and through its services. Otherwise, the department would damage its own image. 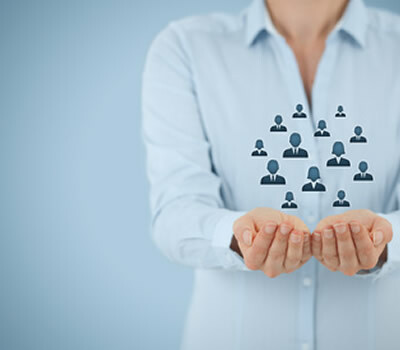 The Human Resources of a company are its main asset and largest investment, so everything related to this business area should be treated with the greatest care and it should be given prime importance; the result of managing human resources will be the best showcase for your public image. Another important milestone that can be achieved through Human Resources is a competent, motivated team that feels comfortable with what they do and that are fully involved in a common goal: the company. Therefore, Group ADADE ensures that the team is suitably qualified, adapted and adjusted to each position. Our education and business professionals have extensive experience in vocational training in the personnel selection and implementation of labour and Human Resources audits.